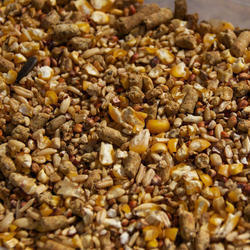 Our clients can demand from us Layer Chick Feed which is widely used to feed chicken and other livestock. It is highly demand across farmhouses, bird sanctuaries and by animal lovers. We process the quality tested raw material on different quality parameters using latest machinery and tools. Rich in crude fat, fibre, acid-insoluble ash and other essential nutrients, this range is carefully packed in air-tight packages and delivered to the client with the committed time frame. 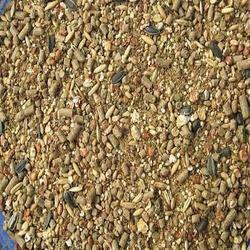 We are prominent manufacturers, exporters, suppliers and wholesalers of finest quality Layer Poultry Grower Feed. Owing to its impeccable processing, high nutritional value and longer shelf life, this range is highly acclaimed by our clients. Formulated from Corn Gluten Meal, Wheat Gluten, Soy Meal, DDGS, Grains, Pluses and other ingredients, our range of Layer Poultry Grower Feed is widely appreciated and demanded all around the globe. 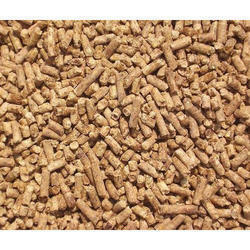 We put forth Egg Layer Poultry Feed which is a rich source crude, crude fibre, crude fat and essential vitamins and minerals. Backed with our sophisticated manufacturing facility and expertise of our proficient workforce, we make sure that the entire range is hygienically processed and is packed in secure packages to retain its natural qualities. It is 100% vegetarian and organic in nature. Our clients can avail it at pocket friendly prices.